People asked us: 'why taking a container ship to go to our next destination on this particular route?' Francien and I are looking for a stimulating experience. Choosing Holland as the departure point has a sentimental reason: we left our home country by airplane in January 1982 with 40 Kg luggage, immigrating to South Africa. At the time that was our hunger for adventure and turned out to be one of the best things we have ever done, still having very fond memories about that journey. As we always wanted to make a sea voyage and now go to Kuala Lumpur, the obvious choice was to take this route going East crossing 9000 nautical miles and seven time zones in 26 - 30 days. Our new floating home next few weeks will be a 29 sq. meter cabin. Deciding what to pack, considering we are limited to 20 Kg each allowed by the airlines which will bring us from Cyprus with a stop-over in Berlin to Amsterdam, was a daunting task. The unknown of how long we will stay in Malaysia after this journey made us uncomfortable. On the off-chance we do forget anything, it is very likely we can buy it in Kuala Lumpur. We packed minimum toiletries, clothing, sturdy shoes, enough books to keep us busy on the boat, tablet and laptops, fitness outfit, photo cameras and binoculars. 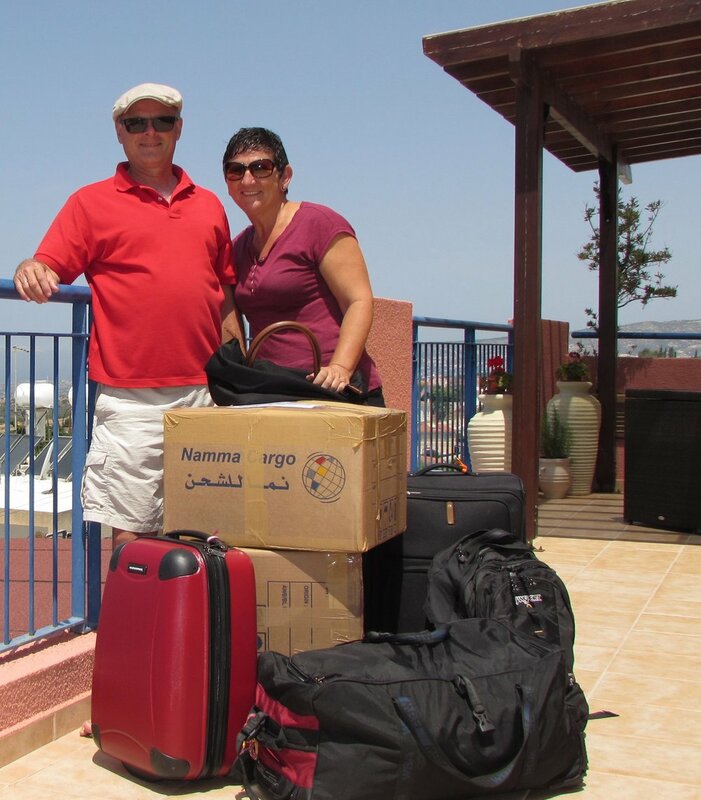 Except 34 Kg of clothing which we sent in two carton boxes by surface mail to Kuala Lumpur, all other personal belongings remain in Paphos. Two weeks ago we were informed by the shipping agent that our departure date is slipping. Also the total anticipated sailing time will be 26 instead of 30 days. No other passengers on the list so far and further changes could be expected. With no internet on-board and no e-mail other than very limited access to the ships account, are we going to be bored? Are we prepared for the solitude? Will there be any fellow passengers? How will it be when the seas get rough? The longest time on a commercial ship for us was the North Sea crossing between Hoek van Holland and Hull and the overnight car ferry between Italy and Corsica. We expect the main activities on the ship will be going to the bridge to follow our progress crossing the oceans, enjoying the ever changing seas, the weather, the birds and dolphins, daily fitness in a tiny gym, regular safety exercises and the landscape while near port or close to land like Gibraltar and transiting the Suez canal. Maybe we see Cyprus on the horizon or the Southern tip of Sri Lanka? We are on our way to Suzan, Francien’s sister who lives a mere 30 minutes’ drive from the Maasvlakte 2, our port of embarkation. The port agent will call and tell us exactly when we will have to be at the ship and the arrangements for immigration to stamp our passports. Rotterdam is the 11th biggest container port in the world. Will we find the ship? Hopefully the taxi will be able to drop us off at a place where we do not have to walk too far!